So this marks the first post of a new featured section on Hope For Hip-Hop: Lists. Every week or sometimes multiple times a week, Hope For Hip-Hop will feature a music-related list. Nowadays, large amounts of music are introduced to us at such a rapid pace that we can easily forget some of the great songs of the past. The Lists tab–which you can now view at the top of the page– will aim to celebrate songs of the past and present, discuss artists' best works, and much more. Now everyone needs a Valentine's Day playlist. This list features ten love songs you must have in your playlist to set the mood, show your loved ones how you feel, or to just enjoy good music. Without further ado, here are the 10 R&B Songs You Need To Have In Your Valentine's Day Playlist. Sisqó was much more than the "Thong Song!" 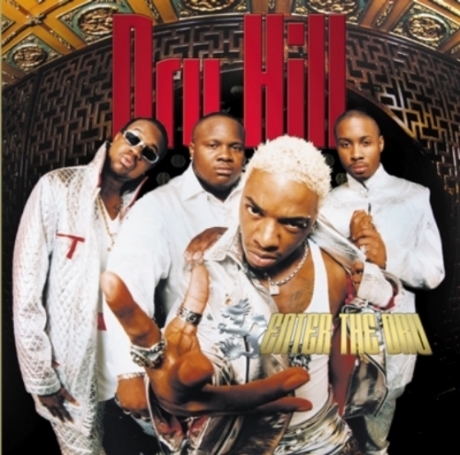 Dru Hill was releasing great R&B music long before Sisqó started his solo career. This joint dropped in '98 and is definitely a must-listen. This song has so much history. It was originally sung by actress Mitzi Green in the musical Babes in Arms (music by Richard Rodgers, lyrics by Lorenz Hart) in 1937. But, it has become one of the most widely covered songs in jazz history; it has appeared on over 1300 albums by over 600 artists. Chaka Khan's version is the best, in my opinion, but Anita Baker's was a close second. The beautiful string opening. The delicate keys. K-Ci and JoJo's harmonious vocals. These are all elements of success and this is one of the best love songs out there. Alicia Keys has mastered the art of singing passionate vocals over beautiful keys. The song evokes a feeling of intense yearning, something many R&B songs just don't do nowadays. I don't think any artist could have described the longing for love, that we all have, more beautifully than Musiq did. This entire song was sung a cappella...and it showcases Boyz II Men's wonderful harmonies at their finest. A wonderful aspect of this song is that it addresses that love isn't always perfect, but the strongest love should be able to last through the storm. LUTHERRRRRRRRRRRRRR! LEGEND. THAT IS ALL. Year of the Gentleman is arguably Ne-Yo's best album and this song about everything Ne-Yo misses about his love will have you calling your loved one just to tell them you appreciate them. Vocally and conceptually, it's one of Ne-Yo's strongest songs. Raheem uses simplicity to show his love just how much he appreciates her. The instrumentation is fantastic and this song takes me back to a time in old school R&B when they broke the song down and just started talking. I would advise you to give this entire album a listen because I think it's one of the best R&B albums of the past ten years. It's always good to have a duet on your list and I think Keke and Avant delivered an amazing performance here. Their voices mesh with each other wonderfully. Everyone yearns to have a first love and they make you realize just how special that can be. Drake Releases Short Film, "Jungle"